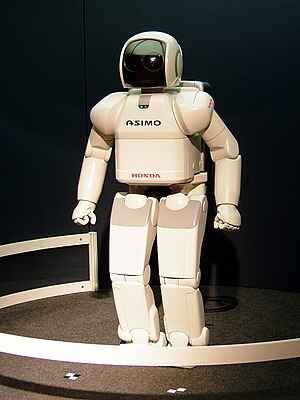 * A robot may not injure a human being, or through inaction, allow a human being to come to harm. * A robot must obey orders given to it by human beings, except where such orders would conflict with the First Law. * A robot must protect its own existence as long as such protection does not conflict with the First or Second Law. Are these the only necessary laws ? Are these three (good) enough ? Are there alternatives ? * A human may not deploy a robot without the human-robot work system meeting the highest legal and professional standards of safety and ethics. * A robot must respond to humans as appropriate for their roles. * A robot must be endowed with sufficient situated autonomy to protect its own existence as long as such protection provides smooth transfer of control which does not conflict with the First and Second Laws. 2) the other law are less specific and hence applicable in more situations. HOW will a robot identify a human being? Humans, robots or Cyborgs ? The most interesting issue here is the clear distinction Asimov makes between humans and robots. In his books, humans were pure humans, robots were 100% robots. But our future world is not the world of Asimov. Nowadays many people are not 100% human any more : artificial hips, knees, teeth, eyes, hearth valves, pacemakers and whatever are more and more part of our humanity. On the other hand, experimental robotics does not limit itself to metals or plastic. A recent experiment involved a living rat brain steering a sort of simple robot. If we continue that way the differences between humans and robots will dissapear. But not only between humans and robots, but also between humans and some animals with enhanced brains (= implants will make them as smart as most humans). So what about the laws of robotics ? IMHO lawmakers will have to make laws for everyone, not making any difference of species, technical specifications or whatever you can disciminate between living beings.